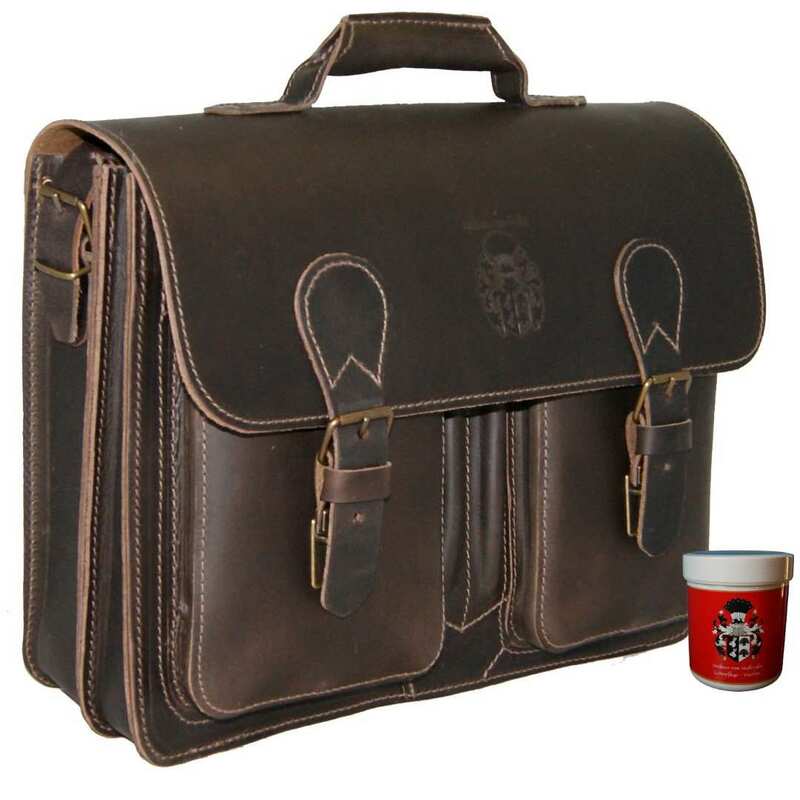 Product information "Business bag MICHELANGELO of brown leather"
The business bag MICHELANGELO BUONARROTI of tobacco-brown leather connects classic look with modern design and provides generous storing room for all your important belongings. 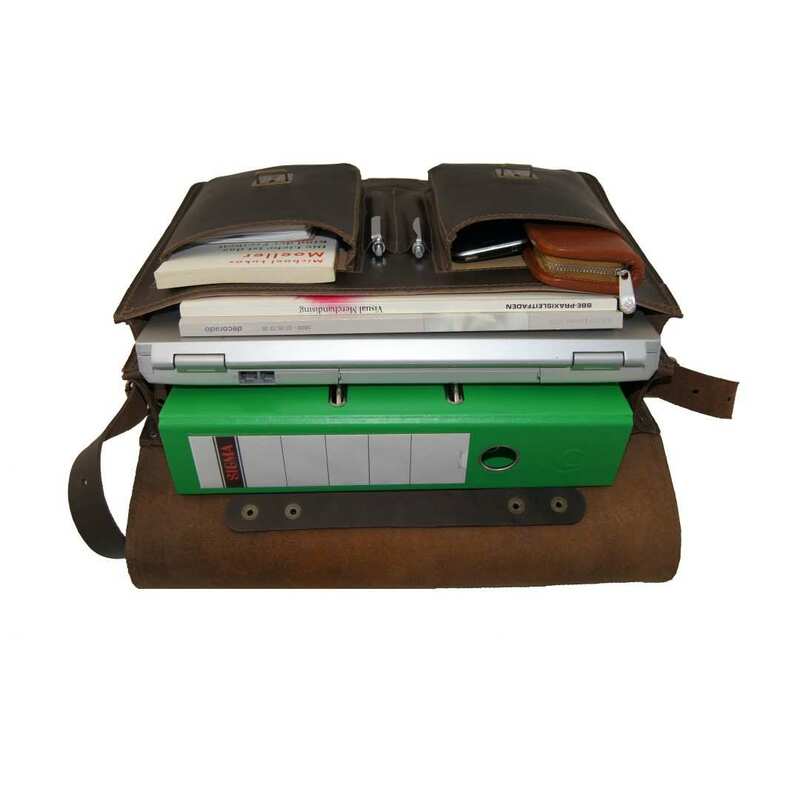 Discover your business bag in XL-format! 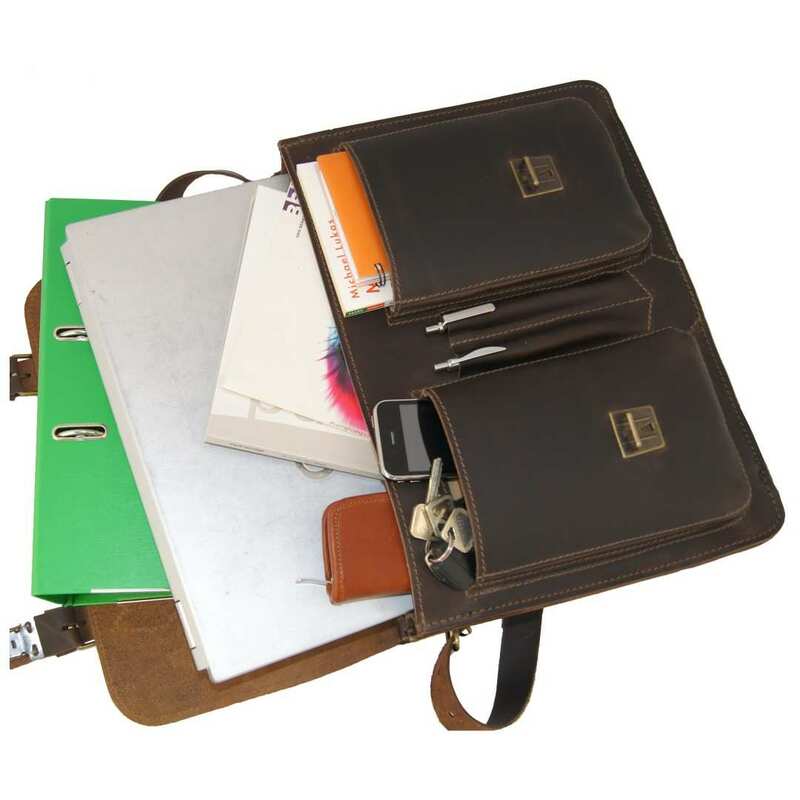 All your notebooks, file folders, catalogues, brochures and other office objects can be perfectly stored in the two big main compartments of the business bag MICHELANGELO of tobacco-brown leather. More surprising is the extra zippered compartment in the middle of the bag: here, you will have the possibility of keeping private documents safe from curious looks and unauthorised hands. 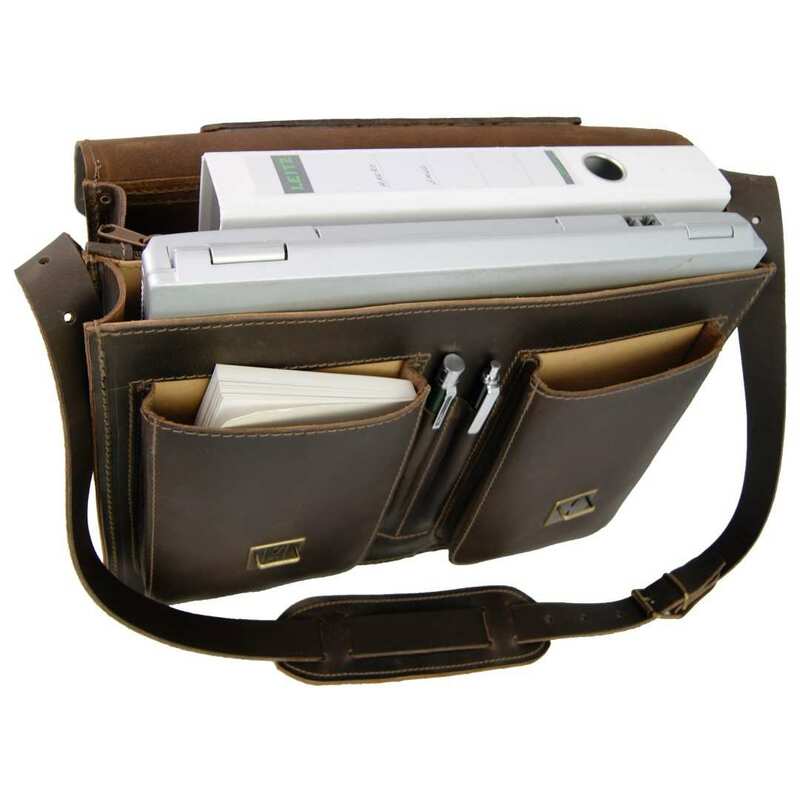 Also, smaller objects such as stationery, a calculator, a smartphone or simply personal belongings find their place in the business bag MICHELANGELO of tobacco-brown leather, for example in its two extra attached front pockets. The special processing of the leather gives this briefcase an impeccable appearance. 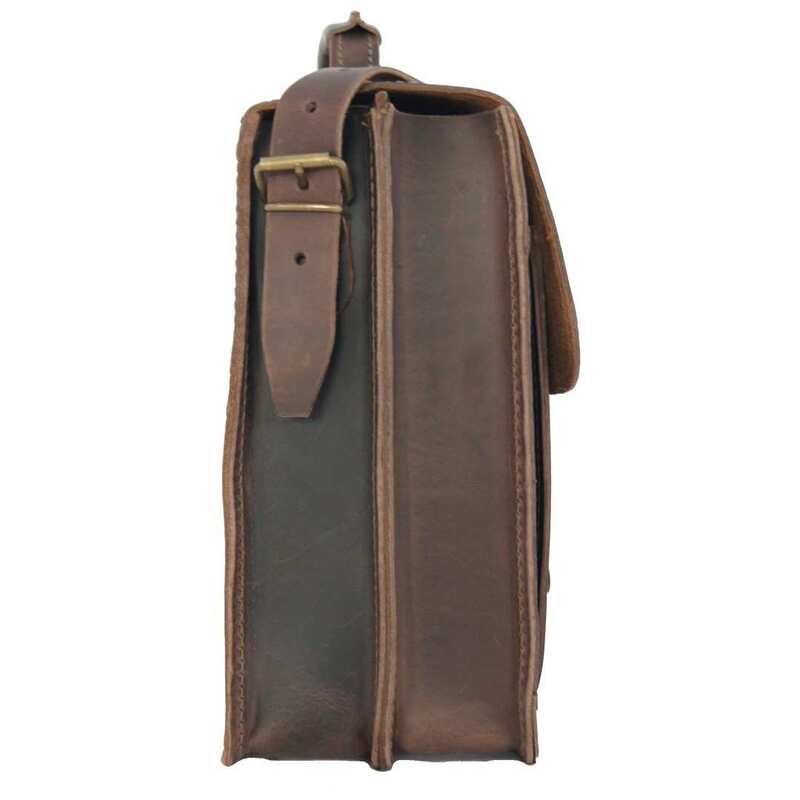 You can lay the shoulder strap casually over your shoulder or carry the business bag MICHELANGELO of tobacco-brown leather by hand – in the traditional way. The shoulder strap also consists of leather, measures 51.2 in (130 cm) and is perfectly adjustable according to your preferred size. Enlarge the comfort by using the fantastic shoulder pad – free with the delivery – that ensures you no more scuffed clothes. 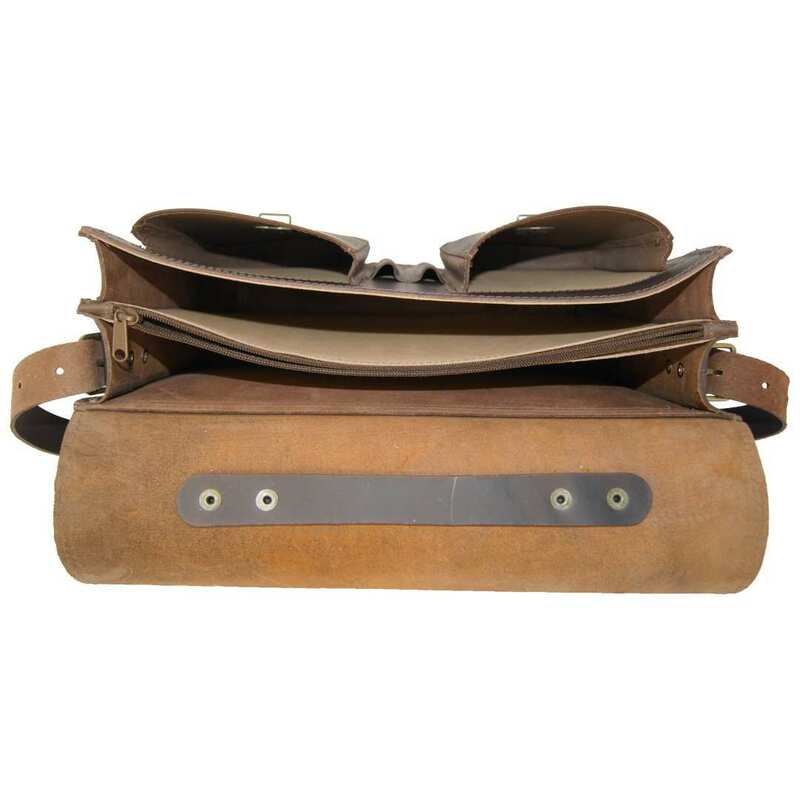 The sturdy handle of the briefcase is connected to the leather by many rivets on a metal plate. The total size of the bag is 15.7 x 5.5 x 7.9 in (40x14x20 cm). This exclusive model in an XL - format is a little piece of art of traditional craftsmanship. It consists of natural bovine leather that has been dyed according to a special process that gives this briefcase an exceptional appearance. The leather is very resistant and sturdy. Every single element of the business bag MICHELANGELO has been sewn per hand with an extra strong thread. This elegant briefcase is a piece of the fine Collection BARON of MALTZAHN. All models of this collection represent a perfect symbiosis of design and functionality. The excellent processing and the usage of high grade materials make of the business bag MICHELANGELO of tobacco-brown leather an everlasting article, no matter how hard it has to work. Reviews for "Business bag MICHELANGELO of brown leather"